For my last movement, I want to share an unusual “sight” that made this trip to Taiwan a particularly memorable and rather different trip for my visits to other countries. Usually, I find trips to countries within Asia as nothing fantastic, a dense ocean of moving black mops and almond eyes, people either packed like sardines in a can within concrete tins or scarce but surrounded by lushes green jungles. However, what I found was that ben though the able remained, a small break from the mundane was were the “stamps” that littered the city. Now these stamps are neither of the graffiti sort nor postage stamps, but rather rubber stamps used for printing. the stamps came in all shapes and sizes and are so numerous that they have successfully covered both the front and back covers of my notebook, leaving barely any spar for other memorabilia from other countries that I may visit in the future. 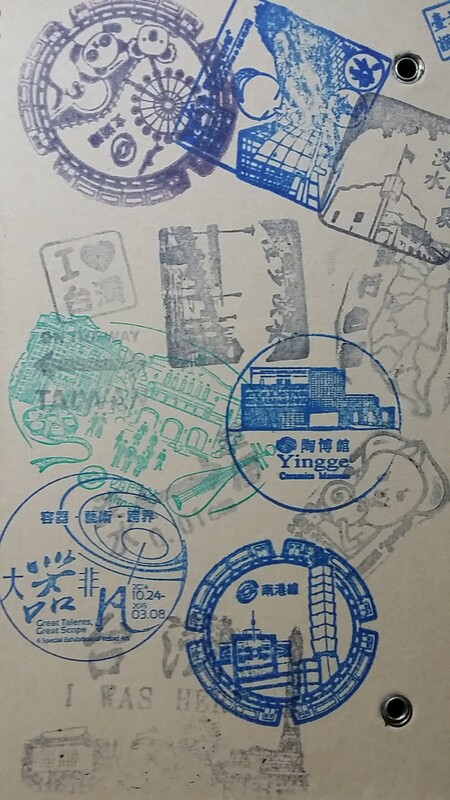 Some of the stamps were really intricately designed and made, particularly the one found in the Yingge Ceramics Museum. The print portrayed the outline of the museum – a rectangular building “gridded” with small squares representing the windows, each no more than a millimetre in length. 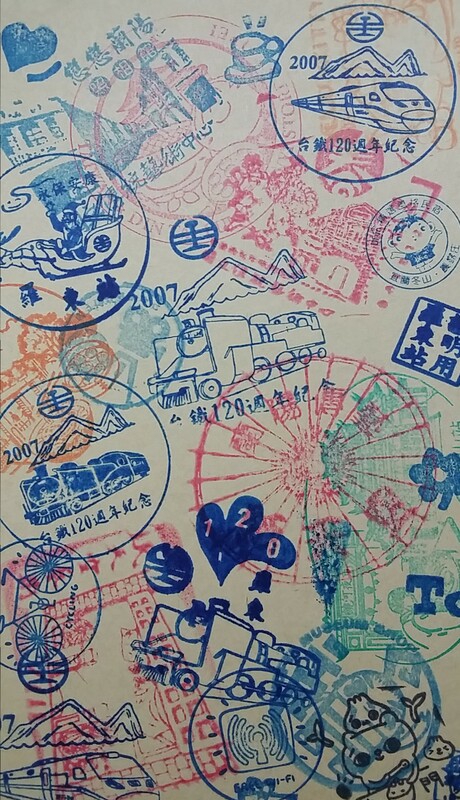 Others are usually bold in design, showcasing the speciality of the area, such as in the case of cingjing where stamps featured prints of horses, sheep and other farm animals. as you can see in the images on the right and left, are of the Yingge Ceramics Museum and the newly opened Songshan Train Station (both a railway line as well as a internal city line, connecting to the other parts of Taiwan). Personally, one that appealed to me greatly was that of a circular bicycle stamp. 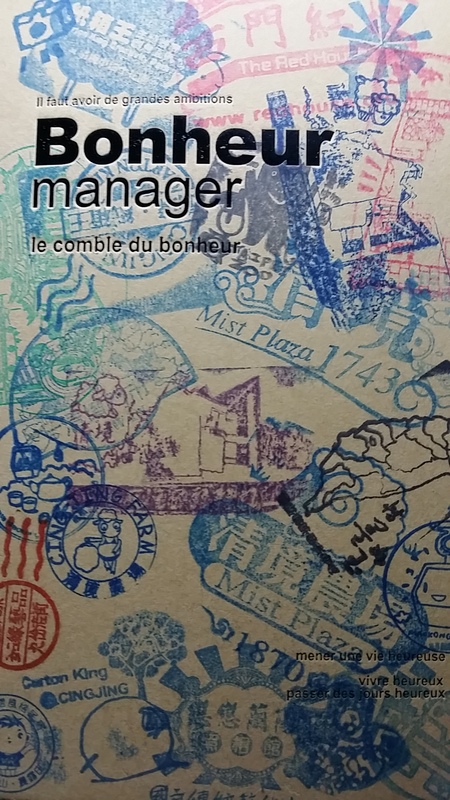 It was a rather minimalistic stamp and in many ways maybe considered “hipster” to many people. The image of the bicycle was made up of just the outline that makes up any bicycle’s form – no brakes, wires, gears etc. just frame wheels and handle bars. Upon reflection what added to its appeal was my deep interest with fixie and single-speed road bicycles (which I have been meaning to get for a long time now). The concept of a single-speed or fixie brings to mind images of the past where cyclist did not have to meddle with the complications of gears in city streets and every ride was a leisure cruise along pathways and alleys. For a long time the milimalistic approach has appealed to me and I hope to hone my skills in that respect. To me, the stroke of a brush, a line in ink or even a speck of chalk on a dark chalkboard can speak volumes no matter how simple the work may be. What is important is the process and the artist ability to show and share that process with audiences. The idea of the stamp may be a simple and “shortcut” to the art of print making, but that does not diminish the value of the mark made. Consider the stamp that will be only used once or, the converse, one that was made till it wore out, what impact would it create? What kind of impression, physical or psychological, would it impress on the user? That final affirmation and mark created is what all artist desire to leave on this earth, and I am no exception.